One of the best parts of living in Phoenix that animals like this exist right in the city. 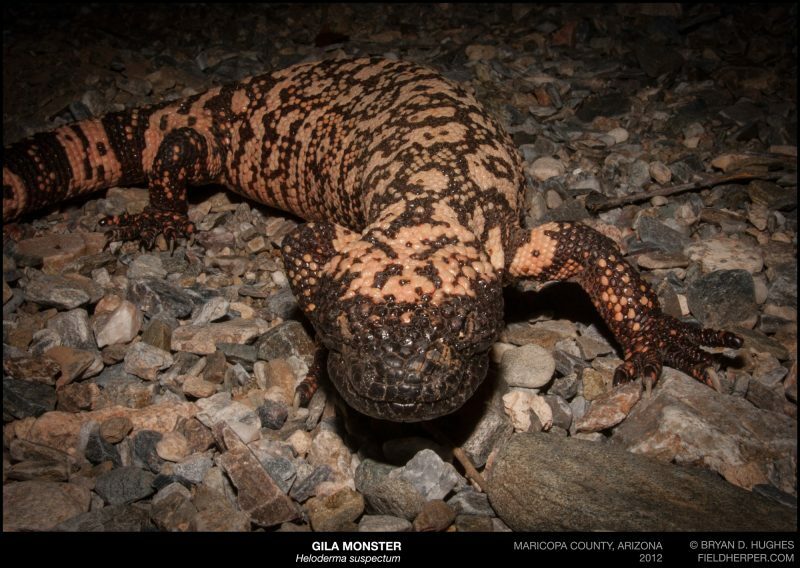 This old man is one of the gila monsters that I’ve seen numerous times right in the heart of the city, in the mountain parks. This entry was posted on Thursday, April 14th, 2016 at 9:29 pm	and is filed under Field Herping, Lizards. You can follow any responses to this entry through the RSS 2.0 feed. You can leave a response, or trackback from your own site.